this week (well technically yesterday) we are celebrating my favourite persons 29th birthday! 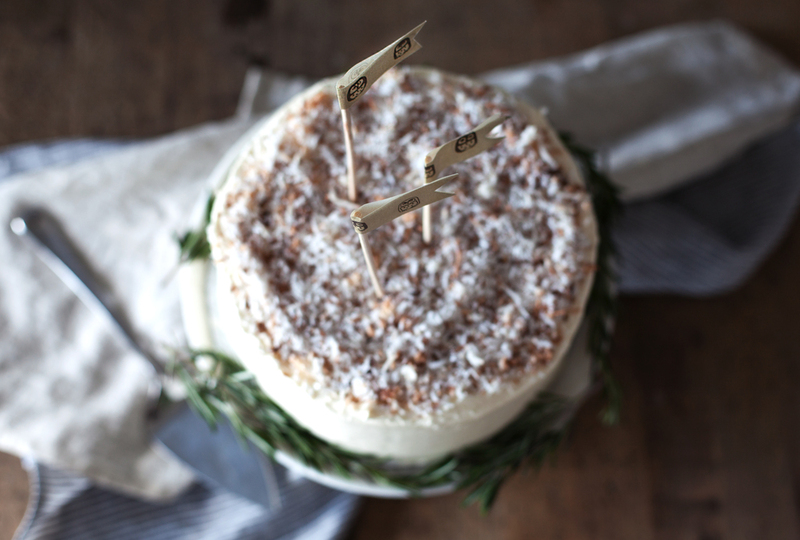 justin deserves the fanciest of cakes, so a coconut cake it is! this cake has a lot of components to it.. this is not your average cake recipe. but i promise it is worth it in the end. it is so coconuty & creamy. 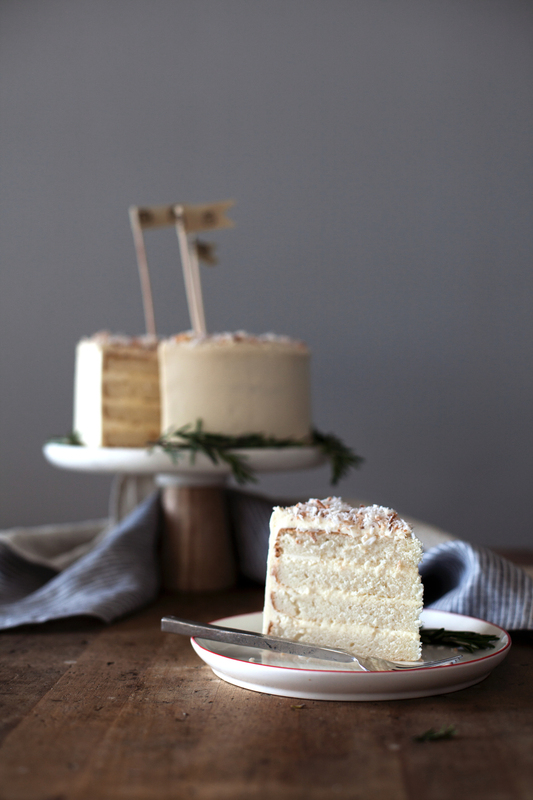 essentially the cake version of a coconut cream pie! dare i say, maybe even better then the pie? 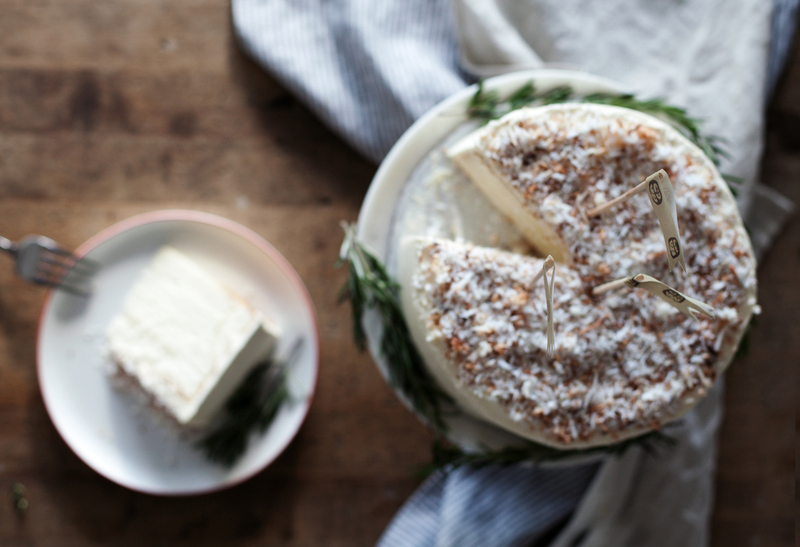 this cake is usually referred to as a "snowball" cake or "snowflake" cake, so it is perfect for the holidays! i made this cake for my christmas dinner a couple years back & it was devoured even after my moms 10 course meal. who could have thought bobby flay, the grill master, could create a cake so good?! NOTE: it is best to make the custard first, so it has ample time to cool. can be refrigerated over night. for the cake: preheat oven to 325 degrees. butter & flour two 8-inch cake pans. in a mixing bowl whisk together the milk, egg whites & vanilla. in the bowl of a stand mixer, add the flour, sugar, baking powder & salt. with the mixer running at low speed, add the butter one cube at a time. once the mixture resembles moist crumbs add the milk mixture. beat until the mixture is pale & fluffy, about 2 minutes. divide the batter evenly between the two cake pans & bake until a toothpick inserted comes out clean. let cool completely before flipping, slicing & assembling. for the custard: in a saucepan over medium heat add both milks. in a separate bowl whisk yolks, sugar & cornstarch. once the milk begins to simmer, add a couple tablespoons of the hot milk to the yolk mixture & stir. pour the yolk mixture back into the pan, whisking vigorously. cook until the custard begins to bubble & thicken. remove from heat & add the extracts. let cool to room temperature. for the filling: beat custard & whipping cream until medium peaks form. layer the cake with this filling. i cut my cakes evenly into two, so i could get four thin layers. for the frosting: in the bowl of a stand mixer beat butter and sugar until light & fluffy. add the custard, vanilla & salt. beat until the custard is well incorporated. frost the edges & top of cake as desired. sprinkle with toasted coconut.